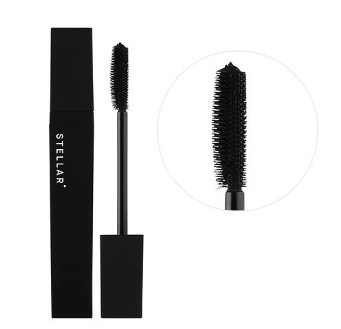 Not only is the packaging the equivalent of an LBD, but this unassuming tube of mascara delivers bold, clean lashes. And best of all, Stellar products are earth-friendly! They’re vegan, cruelty-free, and are formulated without parabens, sulfates, and phthalates. 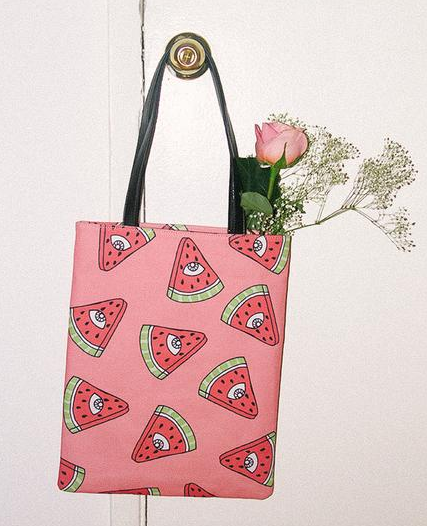 Walk into every room knowing you’re the raddest lady there with this tote bag hanging off your shoulder. I mean, come on. It has WATERMELON SLICES with EYES on them. 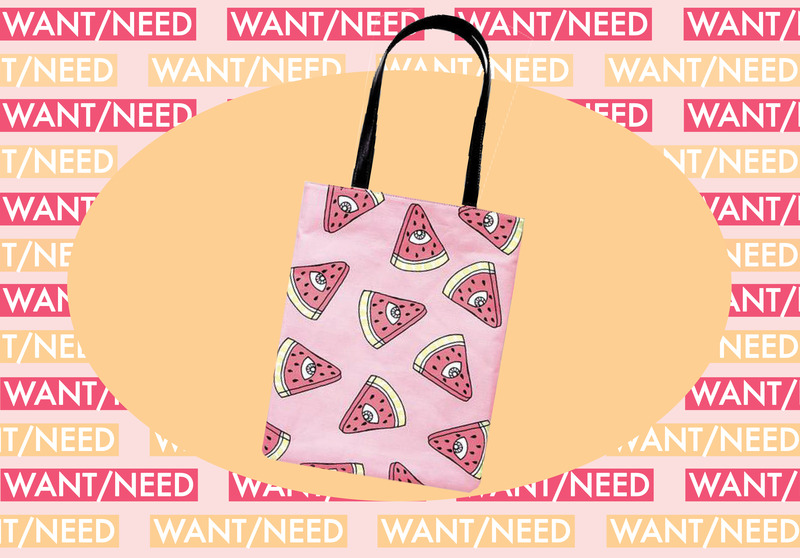 Plus, it’s sturdy (it has a mighty vegan leather strap) and won’t fall apart on you like many tote bags are wont to do. Sometimes you just need jewelry that doesn’t overpower anything. 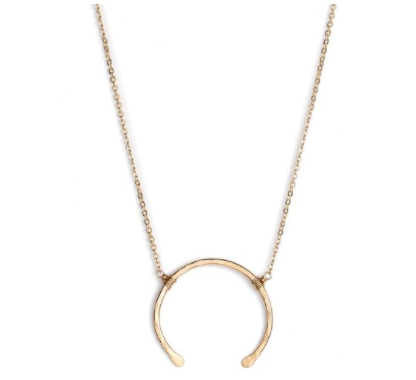 Something simple and chill, and this crescent necklace is it. Mille has all my favorite pretty things in one spot, and this gorgeous Thierry Colson dress is currently stealing my heart. You know how people have a “rainy day fund,” well I think I’ll make a “need this dress fund” and start saving my pennies now. I’ve been trying to acquire more barware — it seems like an adult thing to do. 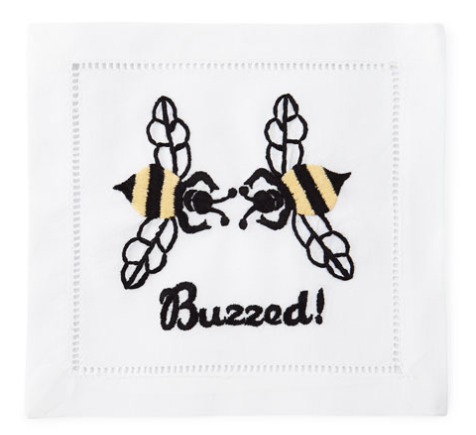 And these quirky little bumblebee “buzzed” cocktail napkins are the just the accouterment my bar cart setup needs. It’s effing cold in LA today, and I really wish I wore a sweatshirt to work. 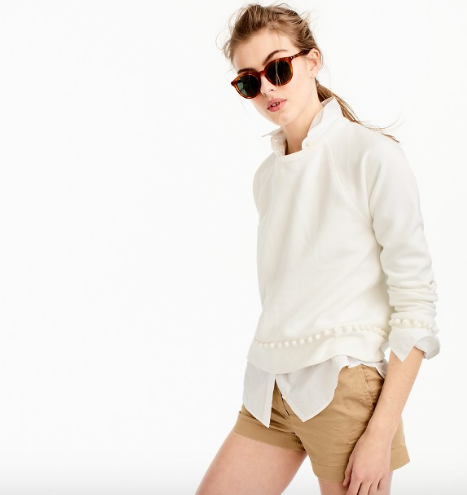 This pom-pom sweatshirt has all the comfort of a hoodie but the pizzaz of a fancy blouse. 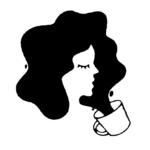 *While every product on Want/Need is hand-selected by HelloGiggles editors, HG may earn affiliate commission on some products.